I am writing to express our sincere appreciation for your high quality of service. From the original meeting to do the quotation, to the careful and comprehensive job preparation, to the professionalism and courtesy of your crew – all these insured that this project was a satisfying experience for all concerned. I was particularly impressed with how well organized your crew was and that they were always on time. In addition, the work was conducted so as to cause the least amount of disruption to our tenants. 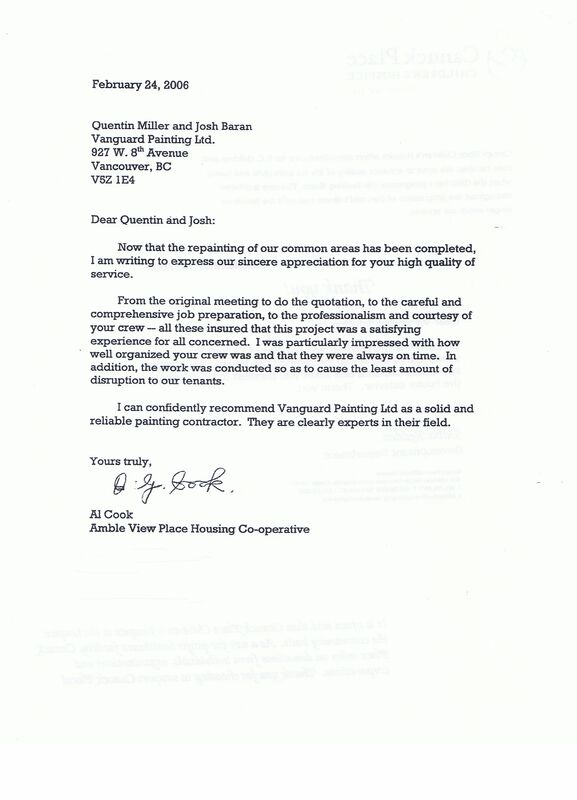 I can confidently recommend Vanguard Painting Ltd as a solid and reliable painting contractor. They are clearly experts in their field.